I’ve gone through a number of sleeping pads over the years. While I’ve previously found some comfort in inflatable sleeping pads, I’ve also had some that just didn’t hold air. All of a sudden I’d wake up in the middle of the night with a rock jabbing me in the back. So, I’ve pretty much started to exclusively use foam pads and today I’m going to share my top picks for the best foam sleeping pads. Foam sleeping pads are lightweight, durable, and more affordable than many inflatable or self-inflating pads out there. You won’t be worried about them getting punctured or leaking air, they can easily be carried on the outside of your pack without damage, and they also double as nice seats for a little added cushion around camp. Side note: Once you’ve found the perfect foam sleeping pad, be sure to investigate the articles in my Hiking Tips and Trails section. Check out my Outdoor Gear page for reviews on water filters, tents, hiking shoes, trekking poles, and more. Also, you might enjoy my Backpack Reviews if you’re in need of a new pack, which include brands like Kelty, REI, and Gregory. Finally, my YouTube Channel is full of informative video content if you’re not really into reading! This is the current sleeping pad I’m working with for all my backpacking adventures, big and small. It’s the lightest and most compact closed-cell foam mattress out there. I like it because it doubles as a seat cushion when you’re sitting around the campfire or just taking a break for lunch. It’s an excellent choice for all those ultralight backpackers out there because of the accordion-style in which it packs up and because of its lightweight (just 10 ounces for the small version and 14 ounces for the regular model. The Therm-a-rest Z-Lite is made with molded, closed-cell foam and filled with crosslinked polyethylene. It boasts an R-Value of 2.6, which makes it a credible three-season foam sleeping pad option. The small version of the pad measures 51 inches long and the regular version is 72 inches long. Both models are 20 inches wide and 0.75 inches thick. The small model comes with packed dimensions (in inches) of 20 x 4 x 5.5 and the regular version isn’t much bigger when packed, with dimensions (in inches) of 20 x 5 x 5.5. One of the biggest reasons why I’ve enjoyed the Therm-a-rest Z-Lite is its durability. I’ve had it for over three years now and (for the price) it has been one of the most comfortable mattresses I’ve ever used. 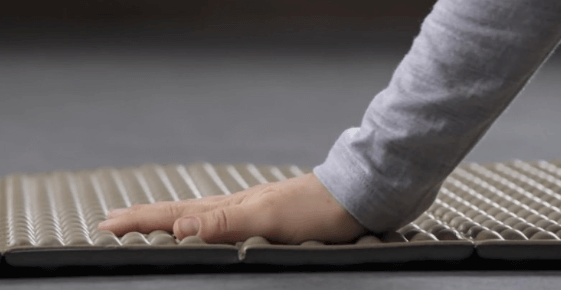 It also features a ThermaCapture surface that helps to reflect radiant heat back to your body and amplifies the warmth of its heat-trapping dimples by a full 20%. The foam is also designed to be denser on the bottom to make it more durable to wear and tear. I actually put the Z-Lite INSIDE of my backcountry bed, regardless of whether I’m spending the night in a tent or in a hammock. By doing so (and sleeping nearly naked most of the time), I’m able to maximize the pad’s heat reflective capabilities to stay warm on even the coldest of nights. If you’re really looking for the thinnest foam sleeping pad out there, it’s hard to beat the Thinlight from Gossamer Gear. They have designed an ultralight sleeping pad that can actually be rolled up small enough to fit inside your pack, or it can strap to the outside without adding a bunch of bulk to your overall pack set-up. If you want to keep your backpacking setup as minimalist as possible, you should look long and hard at the Thinlight. The Thinlight is made of closed-cell, crosslinked Evazote foam. Each pad is just 0.125 inches thick and weighs between 2.9 and 3.4 ounces (depending on manufacturing). The pad is 59.125 inches long and 19 inches wide. When rolled up, it fits inside many of Gossamer’s larger pack models comfortably. The best feature of the Thinlight is its incredibly low weight. For ultralight backpackers out there who don’t mind a little less padding at night, it’s hard to get much lighter than this. 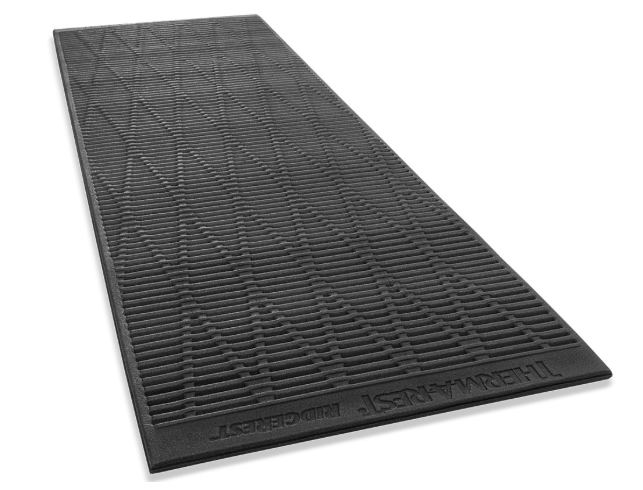 But the pad’s design also makes it durable and the closed-cell foam its made with is resistant to water absorption. The Ridgerest Classic is a revival of Therm-a-Rest’s original foam sleeping pad. I picked up the Ridgerest back in the day as my first ever sleeping pad. I remember it being a little thinner than my current Z-Lite, but it still very much got the job done. And its ability to roll up can work better for certain external frame packs that a foldable pad would. If you’re simply looking for an affordable, basic level of backpacking comfort, it’s hard to pass up the Ridgerest Classic. The Ridgerest Classic comes in two versions, regular and large. So, let’s start with the specs on the regular model. The regular Ridgerest weighs just 14 ounces and boasts packed dimensions (in inches) of 20 x 8. It is 72 inches long, 20 inches wide, and 0.625 inches thick. The large version of the Ridgerest Classic weighs 19 ounces and offer packed dimensions (in inches) of 25 x 8.5. It is 77 inches long, 25 inches wide, and 0.625 inches thick. Both versions of the Ridgerest classic offers an R-value of 2.6, which make them great for three-season use. The best feature of the Ridgerest Classic is that it’s virtually indestructible. You don’t have to worry about excessively clearing your sleeping spot before lying your pad down because you’re worried about a rock popping an inflatable pad. With the Ridgerest, there’s never any concern about its durability. Additionally, the Ridgerest Classic has a unique design. It has supportive peaks and heat-trapping valleys that provide ample comfort and also keep heat from leaving your sleeping area. NEMO is a company that has just recently come onto the scene in the outdoor gear industry. The Switchback is their version of the Z-Lite sleeping pad from Therm-a-Rest. It’s made of closed-cell foam and finished with a low emissivity film to add a layer of warmth. It’s competitive in terms of price with the Z-Lite and provides another great option for ultralight backpackers. The NEMO Switchback is rated for use when the overnight temperature rests between 20 and 32 degrees Fahrenheit. The large version of the pad weighs just 14.5 ounces and boasts packed dimensions (in inches) of 20 x 5 x 5.5. When expanded, the pad is 72 inches long, 20 inches wide, and 0.9 inches thick (making it a little thicker than both the Z-Lite and the Ridgerest Classic). The smaller version of the pad is 51 inches long and 20 inches wide. The makers of the Switchback designed its hexagonal patterning to make it easier to pack and attach to your pack. But that patterning also makes it feel more plush and comfortable when unfolded. The pad features hypnoelastic zones that conform to your body to give it more support and make you that much more comfortable when you lay down to nod off to sleep. That metallic, low emissivity film we mentioned earlier also reflects more heat back to your body to keep you warm throughout the night. 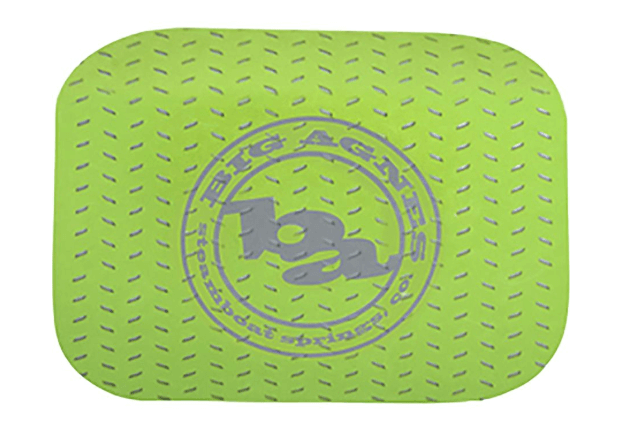 The Big Agnes Third Degree Foam Sleeping Pad is rated for use in temperatures down to 32 degrees Fahrenheit. It’s a great choice to pair with an inflatable pad to provide extra insulation from the cold ground. Or, it can be used on its own. It’s a roll-up style pad that easily packs on the exterior of your pack when not in use and is suitable for anything from multi-day backpacking trips to weekend car camping getaways. The Big Agnes Third Degree is available in two versions: short and regular. The short version weighs just 8 ounces and boasts packed dimensions of 20 inches by 6 inches. The short version of the pad is 48 inches long and 20 inches wide. The regular model is slightly heavier, weighing in at 12 ounces. It has similar packed dimensions, but when unpacked it is 72 inches long and 20 inches wide. This Big Agnes sleeping pad is made with closed-cell EVA foam that’s designed to give you a firm and well-insulated barrier between your body and the cold, hard ground. The pad is actually engineered with two foam layers (a top and bottom) that combine to offer added warmth and comfort. It features die-cut sections on its top layers that trap warm air to keep you comfortable throughout the night. 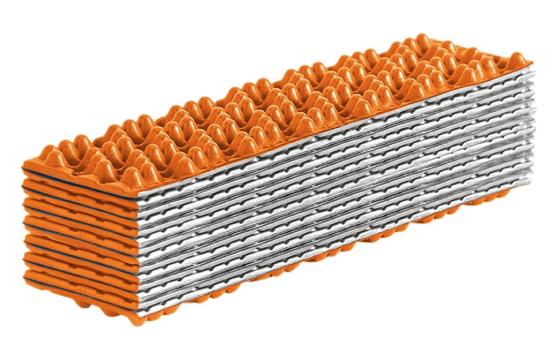 It also boasts a tire tread pattern on the bottom layer that adds cushion against rocks and roots. 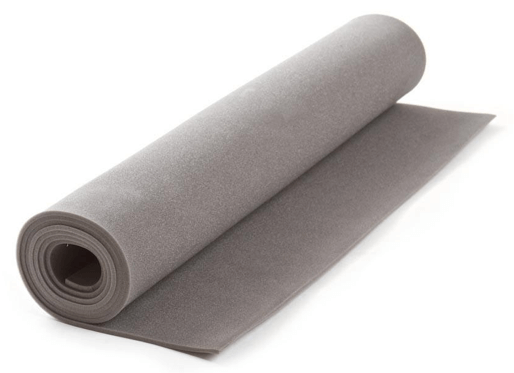 As you’ve seen, most of the foam sleeping pads in this article are made with closed-cell foam. As I mentioned in the opening paragraphs, these pads are lightweight, durable, and more affordable than their inflatable or self-inflating counterparts. You don’t have to worry about carrying them on the outside of your pack and exposing them to puncture damage that will cause air leaks. And they also double as sit pads for a little added cushion around camp. So, I’m going to assume that if you’ve read this far into this article on the best foam sleeping pads, you’re not really looking too closely at inflatable or self-inflating options. So, in this section, we’re going to focus on the two main factors I would consider when choosing between foam sleeping pads. Those factors are packability and comfort. When we talk about how easy it is to pack a sleeping pad in or on your pack, the two main things to consider are overall packed dimensions and weight. 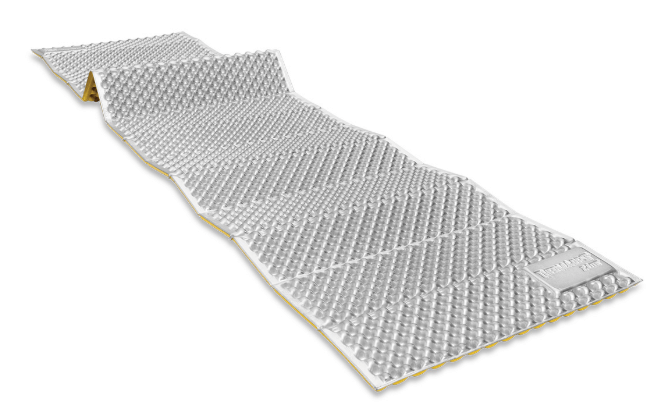 Most foam sleeping pads are either rolled up when not in use or folded in a Z-formation. They can be strapped to the top, bottom, or sides of your pack, depending on your preference. Some even roll or fold up small enough to fit inside your pack, depending on the dimensions of your pack. The first decision you’ll want to make is whether you want to secure your pad to the exterior of your pack or store it inside. If you choose the latter, you’re going to want to go with the smallest packed dimensions you can find so that you have plenty of room for food, water, sleeping bag, and other hiking essentials. If you plan to store the pad on the exterior of your pack, you’ll be able to work with larger packed dimensions. The next decision you’ll have to make is about weight. How much weight are you willing to tolerate in a sleeping pad? 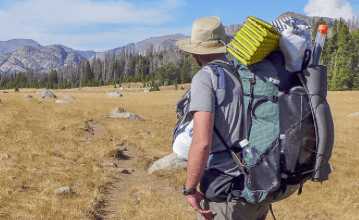 Many ultralight backpackers weigh out their gear down to the ounce, and too much extra weight can take a toll on your body when you’re traveling 30+ miles every day for six months straight. But, if you’re only going to be using this pad for weekend car camping getaways, you’ll probably never even notice those extra four ounces. For me, comfort is everything. If I can get a great night’s rest while backpacking and camping, then I’m relaxed and ready to handle almost anything the next day can throw at me. So, for my money, I like to have that extra layer of cushioning to make sure no rocks or roots are jabbing into my back or sides throughout the night. When it comes to foam sleeping pads, the general rule is that a thicker pad will be a more comfortable pad. It’s not rocket science here guys! A thicker pad means more cushion from those bothersome roots and rocks, and it also means more insulation from the cold. Getting too cold in the middle of the night is a surefire way to get a less-than-stellar night’s sleep! So there you have it! I hope you’ve enjoyed this summary of my top picks for the Best Foam Sleeping Pads and I’d love to hear your feedback in the comments section below. I’ll be quick to reply to any questions, comments, or concerns you feel like sharing. If you decide to purchase the Z-Lite, Thinlight, Ridgerest Classic, Switchback, or Third Degree sleeping pad after reading this article, I’d love to hear about your experience once you’ve taken yours out for a few trips! I want it to be clear that I receive a commission for any product that you purchase by clicking the links I provide on this site. 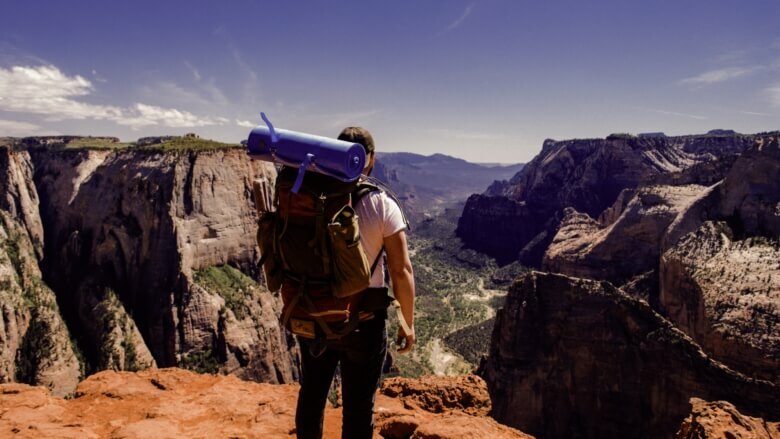 As an affiliate marketer, I have relationships with many of the leading brands in the outdoor industry. 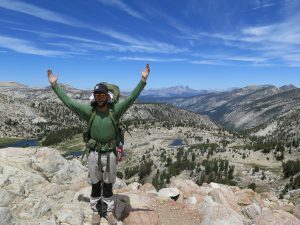 Everything I earn through this site helps me continue to create more helpful resources, which will one day include guided backpacking trips!